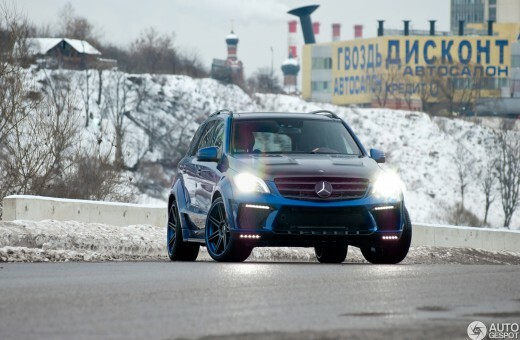 <<Moscow 2012: report TopCar Inferno. 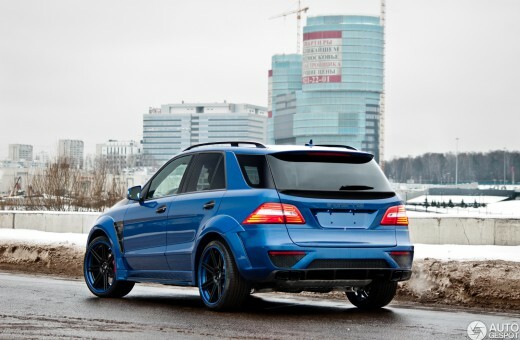 Inferno, that’s the name of the newest project of this Russian tuner. 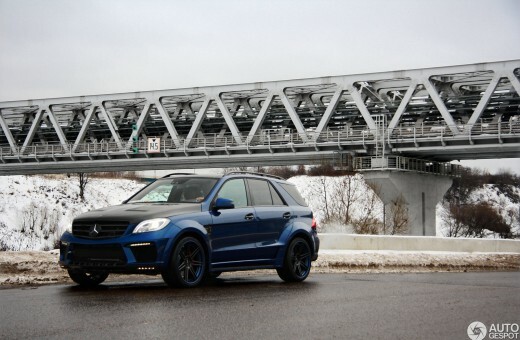 A big inspiration for this project are the current Black Series projects by Mercedes-Benz AMG. It is the newest car by TopCar which is introduced on the TopLine exhibition. 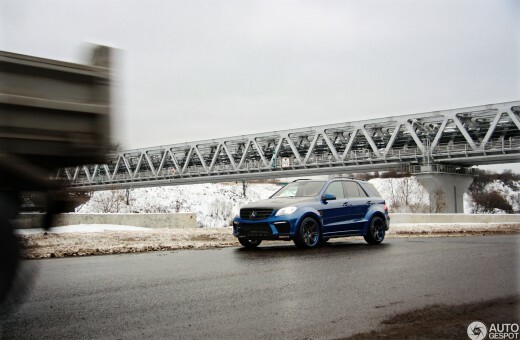 SUVs are very popular in Russia and especially in Moscow. The Inferno is a perfect car for this and on a cold winter day in December, we had a few hours to enjoy the car. The Inferno is a completely different project than we’re used from TopCar. 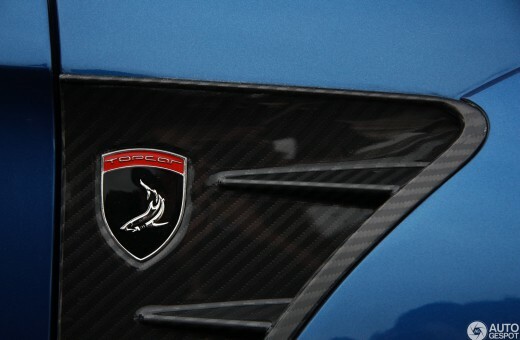 Since the start of the company, the focus was always on the development of unique Porsches. They are still popular but they did something new with the Inferno. The designer of the car is a big fanatic of the aggressive styling of the Black Series and with this in his mind he created this car. They needed some time to think about the name of the car. Finally they came up with the name Inferno, this is name of a Japanese game-designer. His unique style was the reason to choose for this name. 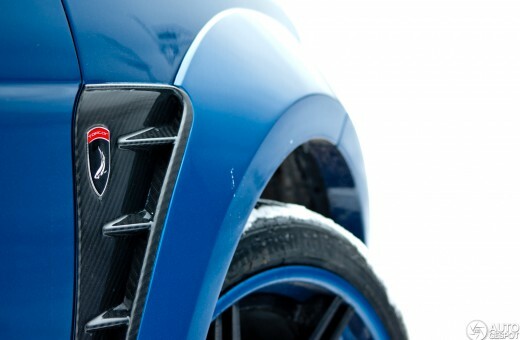 The bodykit of the TopCar Inferno isn’t limited like other models like the Stingray GTR and Vantage GTR2 are. One of the first copies which will be delivered will be a black one. 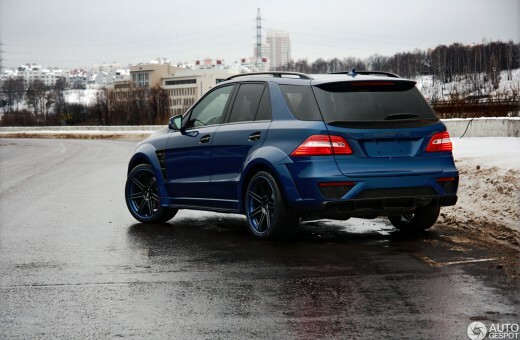 The car in this special has the colour San Marino Blue, a beautiful colour which stands out between all the grey in Moscow. There are a few essential elements in the design. 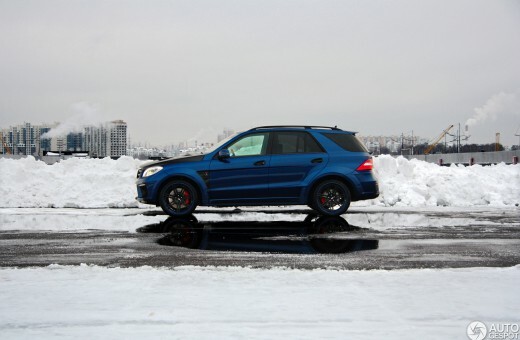 Style, harmony and especially power. 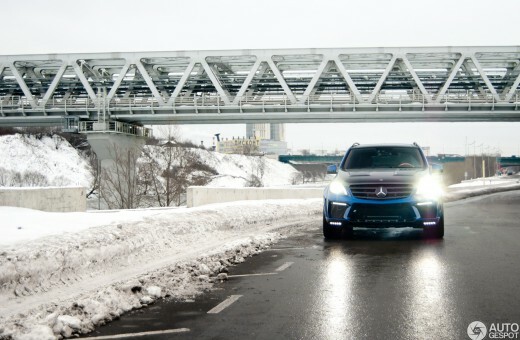 The element power can be found on the front of the car. 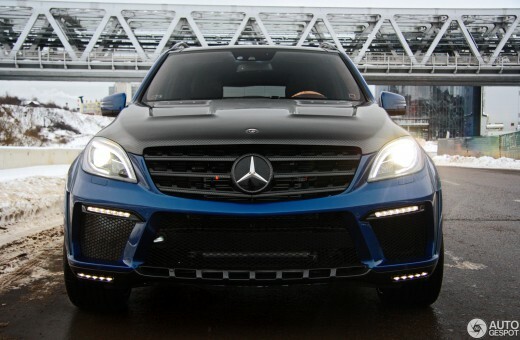 The front has an enormous front bumper which is made out of Kevlar and carbon fiber. There are special details like carbon fiber panels, a carbon fiber front spoiler with LED-lighting and other gaze, painted in black. 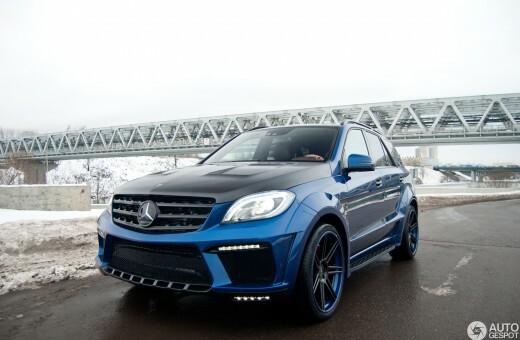 The car has a hood out of carbon fiber including some air intakes in the style of the Black Series. The front looks a bit over the top but it’s still in proportion with the rest of the car. The side view of the car is completed with the famous side grill of TopCar. 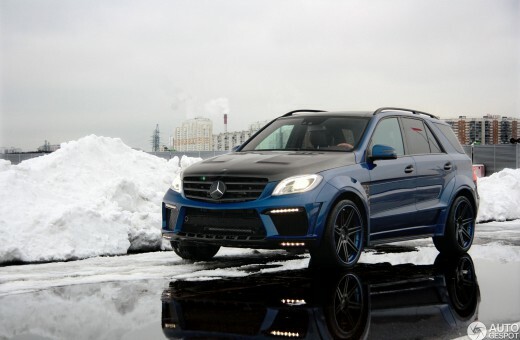 The fenders are widened and tougher side-skirts make the car look tougher. 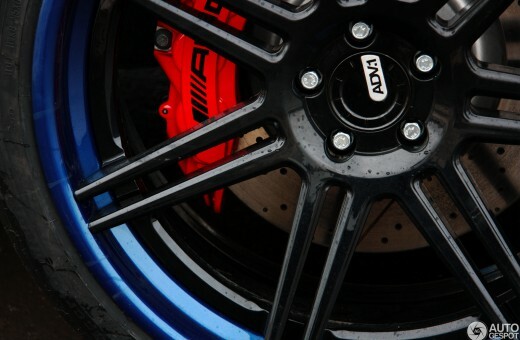 Every model of TopCar has American ADV.1 wheels, in this particular case, 22 inch wide ones. 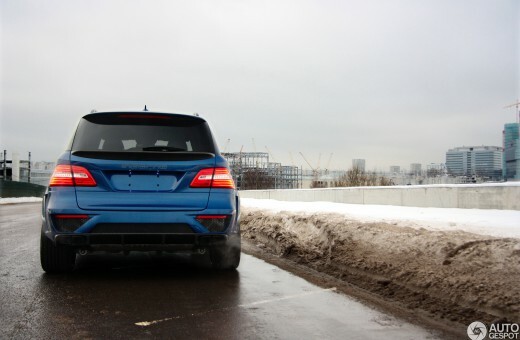 On the back of the car we see a big bumper with a carbon fiber diffuser and an extra rear spoiler. Unique are the exhaust tips, these have a special design which look a bit like the end of a big rifle. TopCar pays a lot of attention to the interior of every car they build. Customers can process their own personality in the interior of the car. 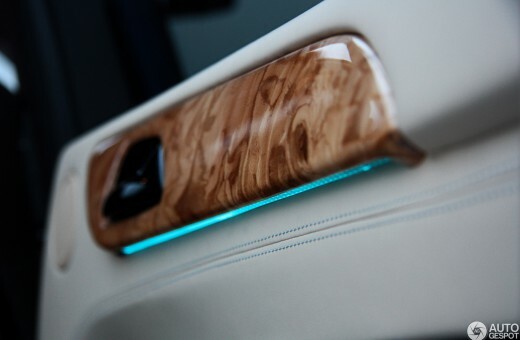 They can choose between all sorts of wood, leather and let’s not forget carbon fiber. The blue Inferno in this special is a real show model. It shows you one of the many possibilities for the customer. This car has a combination of brown leather with white stitching. Other materials in the interior are red carbon fiber and wood from the Kirillic birch. The red carbon fiber can be found everywhere in the car. From the steering wheel to the door levers. 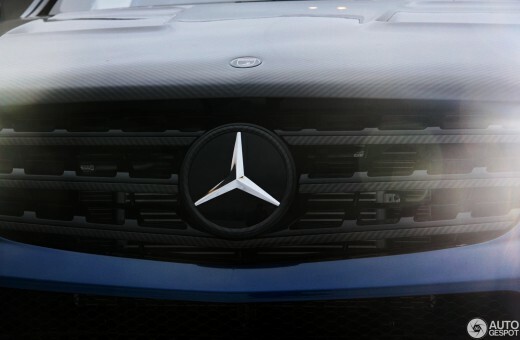 We can also find nice mood lighting from Mercedes-Benz in the car. This matches very good with the light wood and the sporty red carbon fiber. 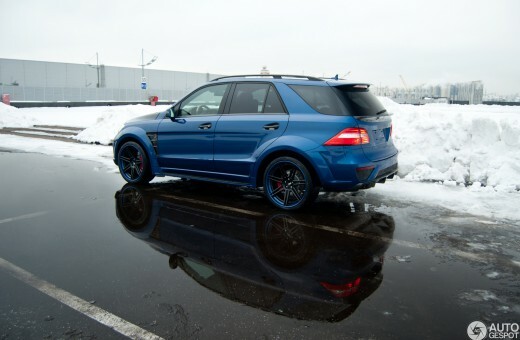 When the customer is interested there is the option to tune your TopCar Inferno in cooperation with EVOTECH Motorsport. 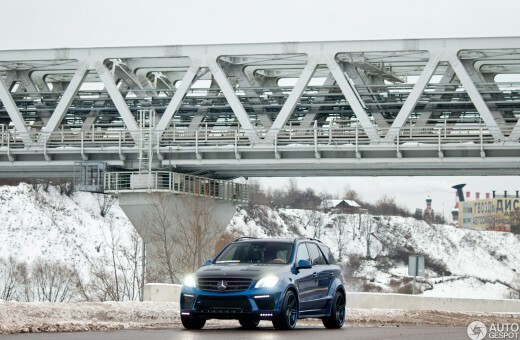 Standard, the ML 63 AMG produces 525 bhp and 700 Nm of torque and with the Performance Pack you even have 557 bhp available. 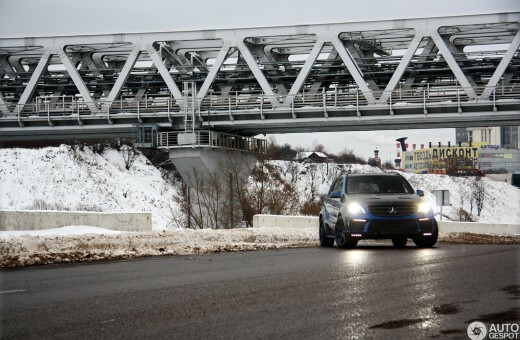 In Russia, they are hungry for horsepower and as we all know, more is better! 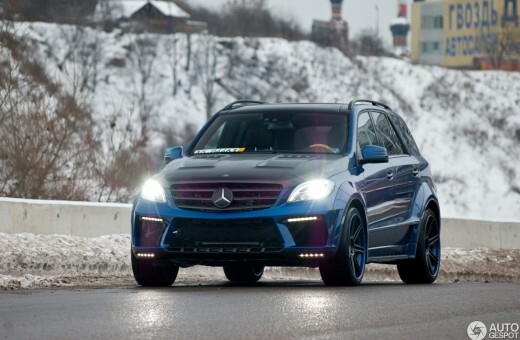 The first tuning package upgrades the power to 640 bhp and 980 Nm of torque. You will almost reach 700 bhp with the seconds package, because this package produces 690 bhp and 1100 Nm of torque and finally, the third package upgrades the car to 760 bhp and 1150 Nm of torque. The prices of these upgrades are 7,900 Euros for the first package, 11,900 Euros for the second package and finally 21,900 Euros for the third package. What we especially like about the Inferno is the fact that the tuner did something new with this car. The company is known for its striking Porsches with a unique design, horizontal panels and the very wide rear of the car. 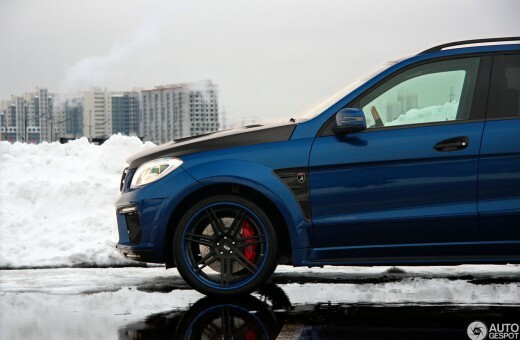 The Inferno is still an outstanding car but not as extreme as other projects from TopCar. 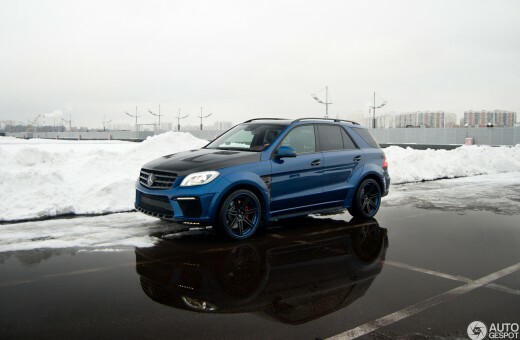 We think that it could be a popular car, also outside Russia. Think of the United States of America or the Middle-East. We already imagine a white copy with a carbon fiber hood and beautiful ADV.1 wheels, this would be a beautiful combination. But actually every TopCar is a special and exclusive and limited car! 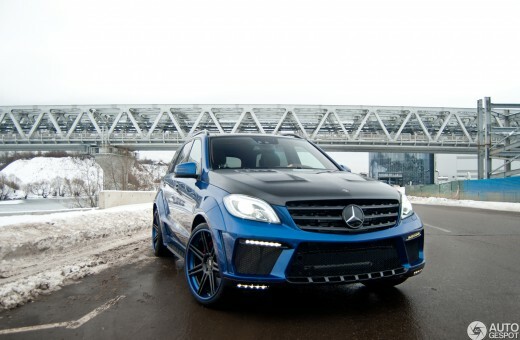 Moscow 2012: report TopCar Inferno.